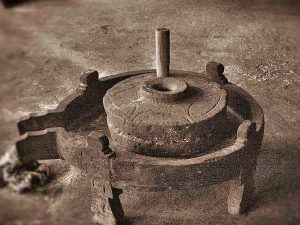 This Chakki coffee table from India is a replica of the 1800s stemming basis for a grain millstone. They are originally from Rajasthan in India. 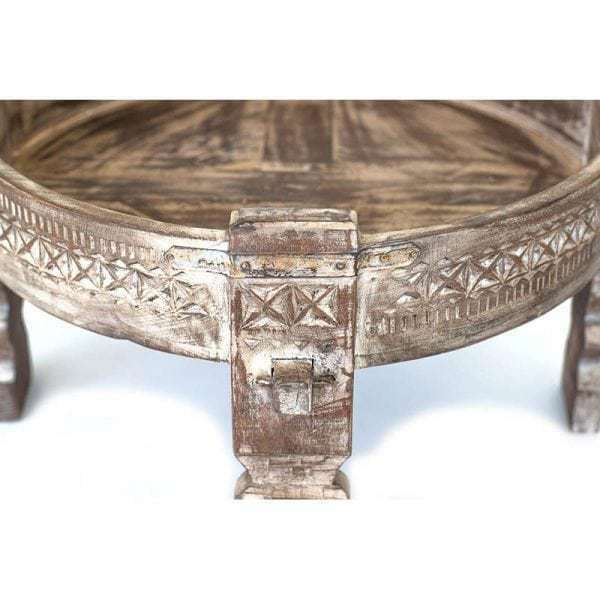 This Chakki Table – coffee table from India is a replica of the 1800s stemming basis for a grain millstone. 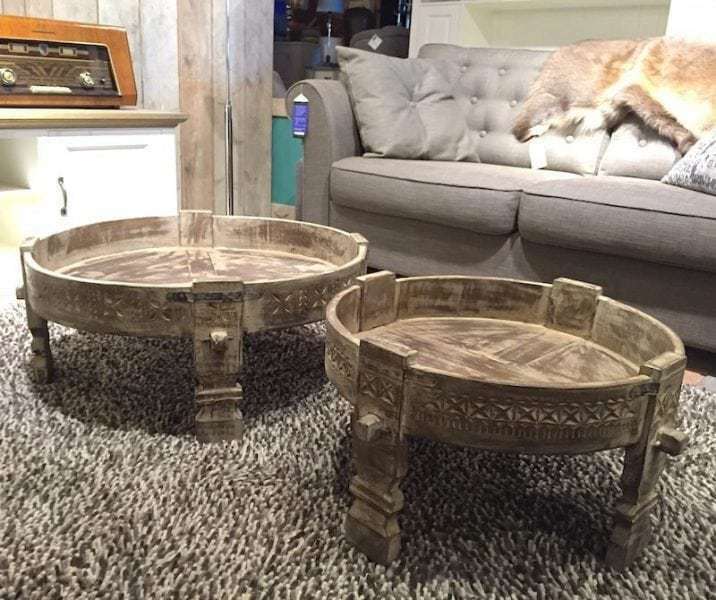 These millstones are called Chakkis and are now totally hip as a coffee table / side table. 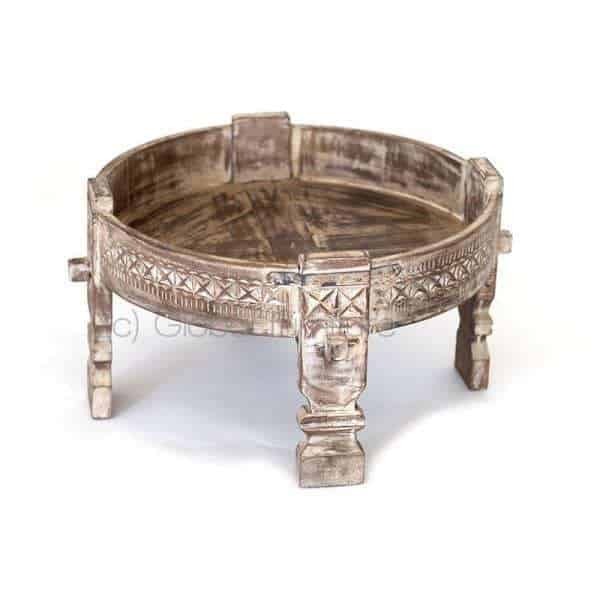 Completely hand crafted with beautiful carvings and metal details. 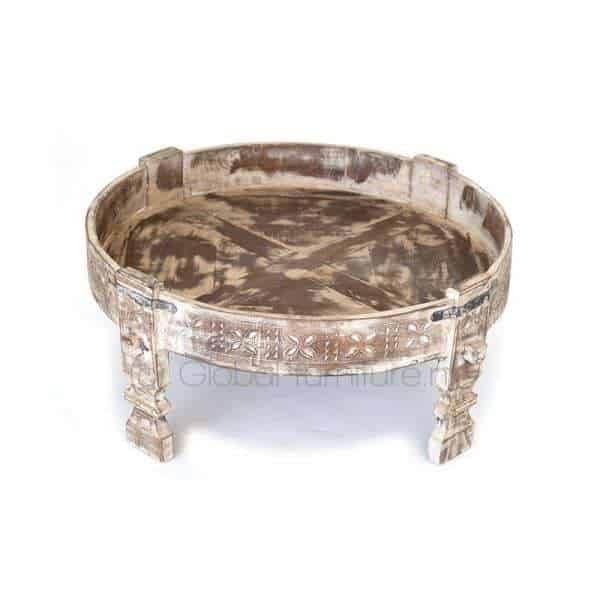 Beautiful if you put it into the corner with some candles or just use it as a coffee table. 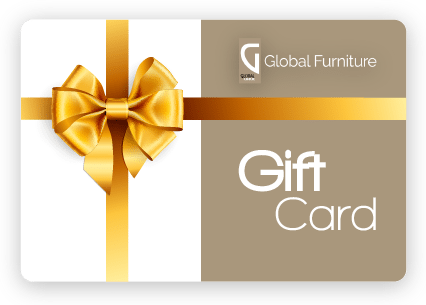 Due to the raised edge around the table it is ideal if you have pets or small children. 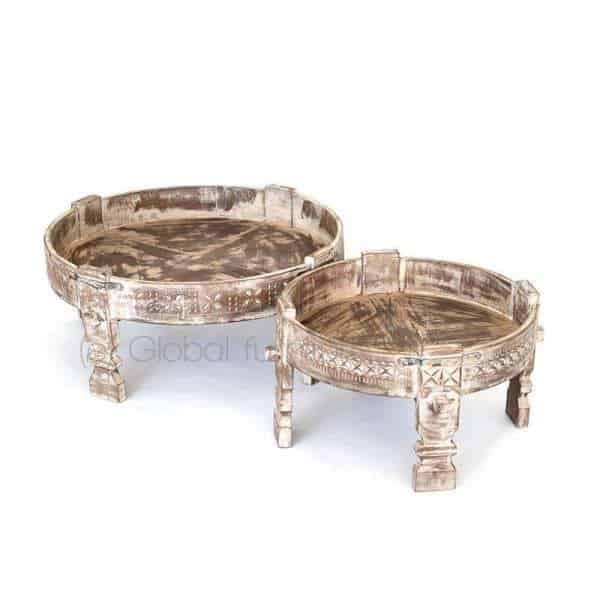 Completely hand made in India, making each table is unique in its kind.